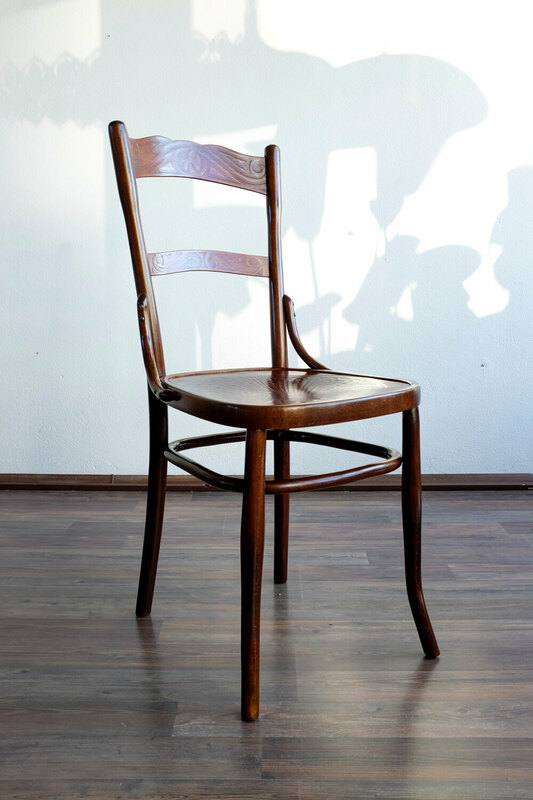 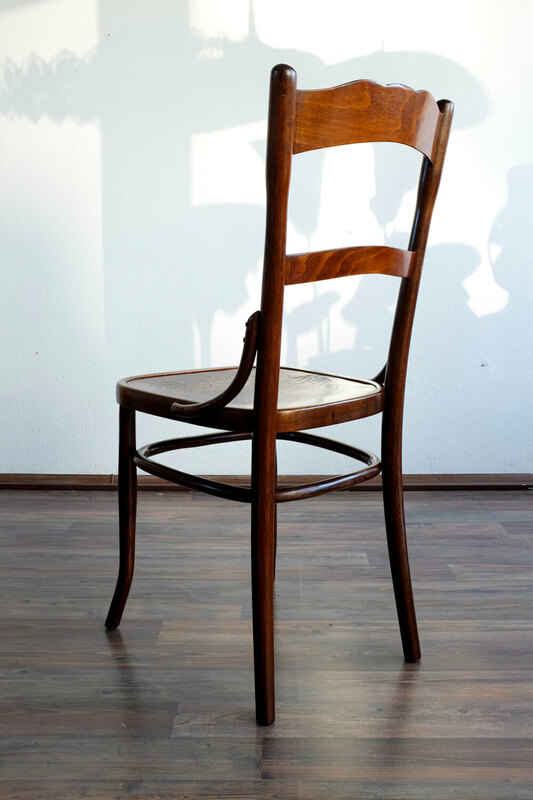 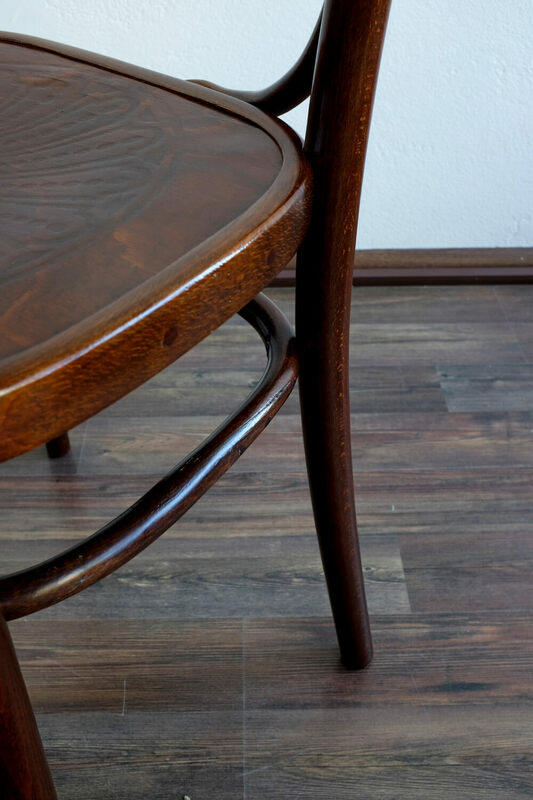 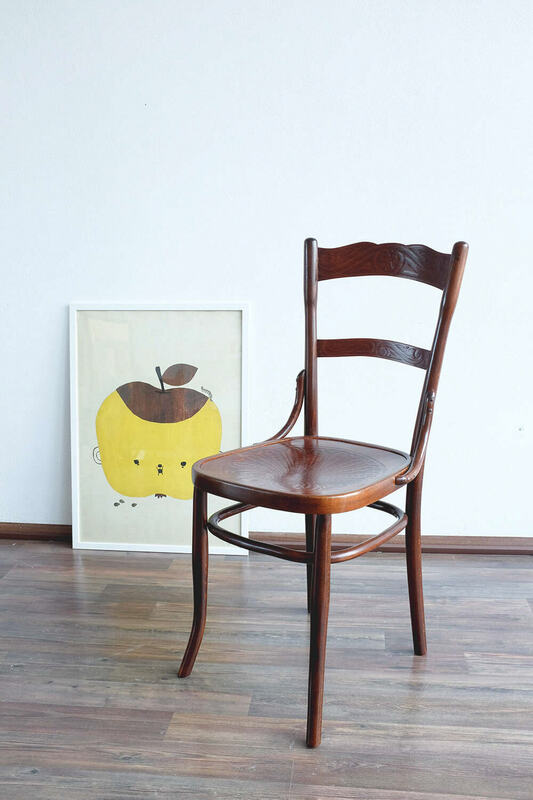 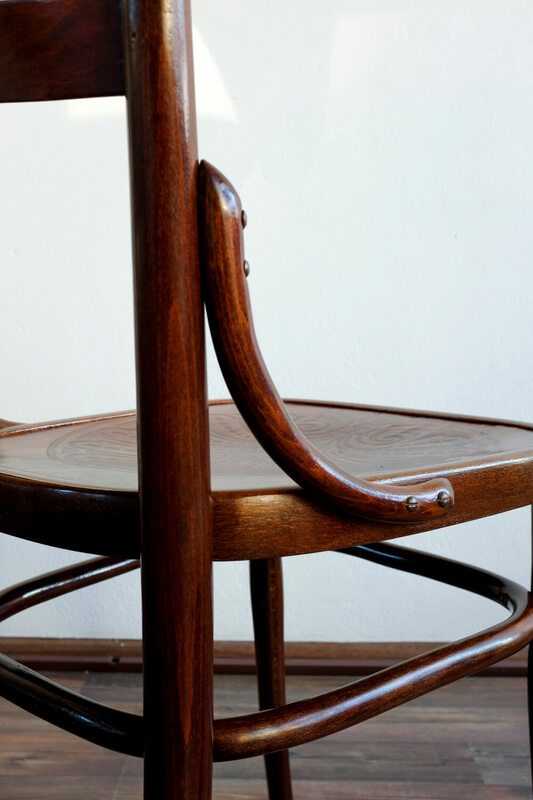 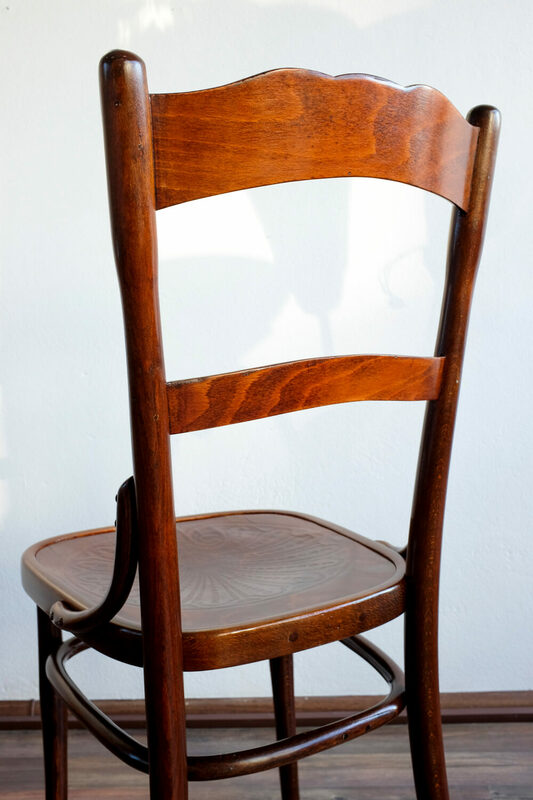 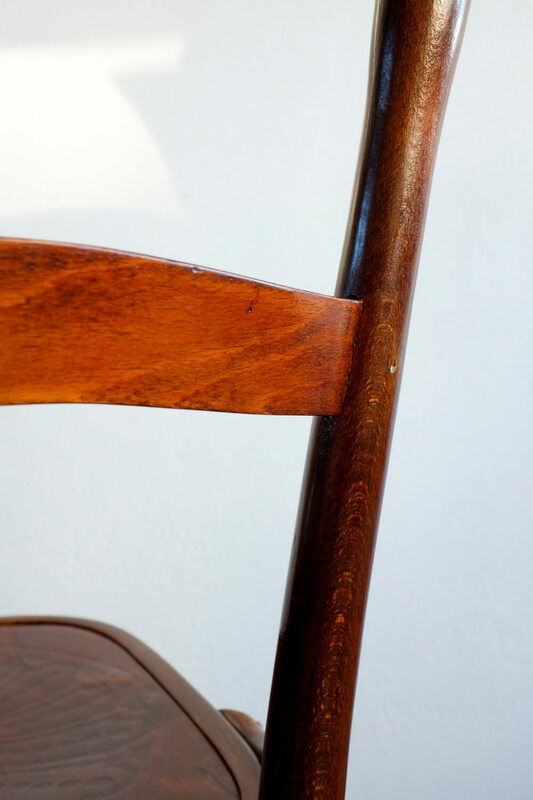 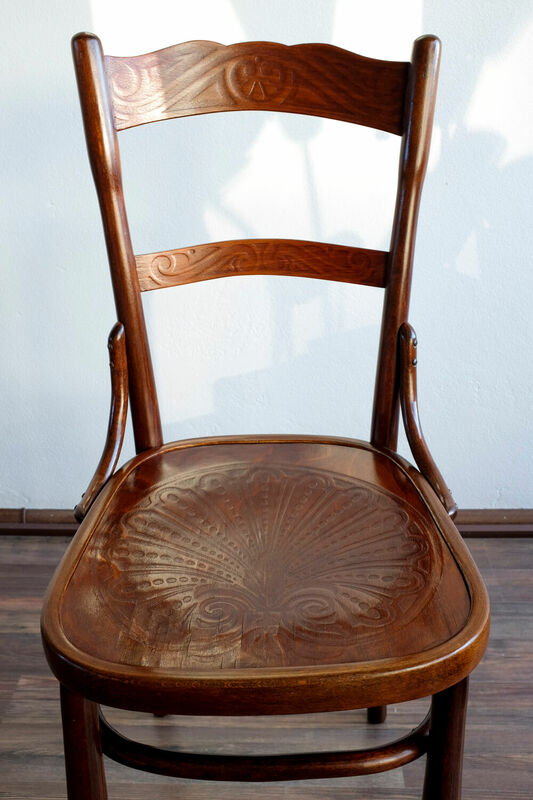 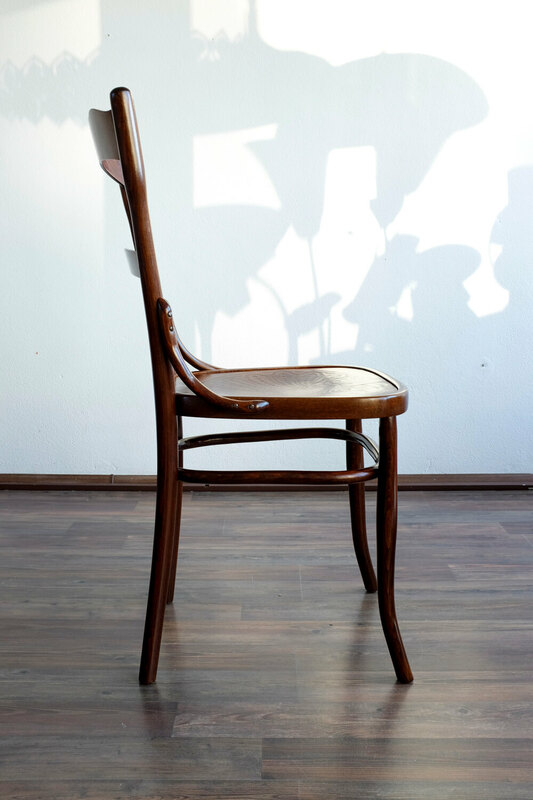 Beautiful Thonet chair from the beginning of the last century. 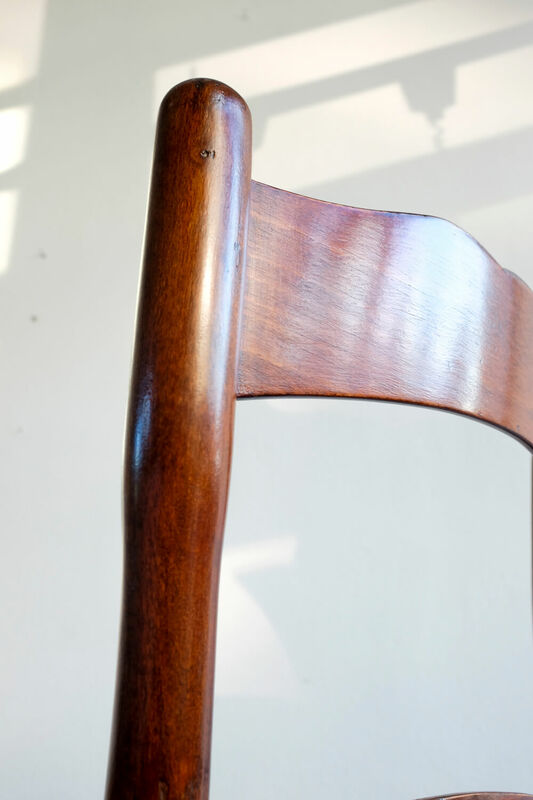 Fully restored to semi-gloss finish. 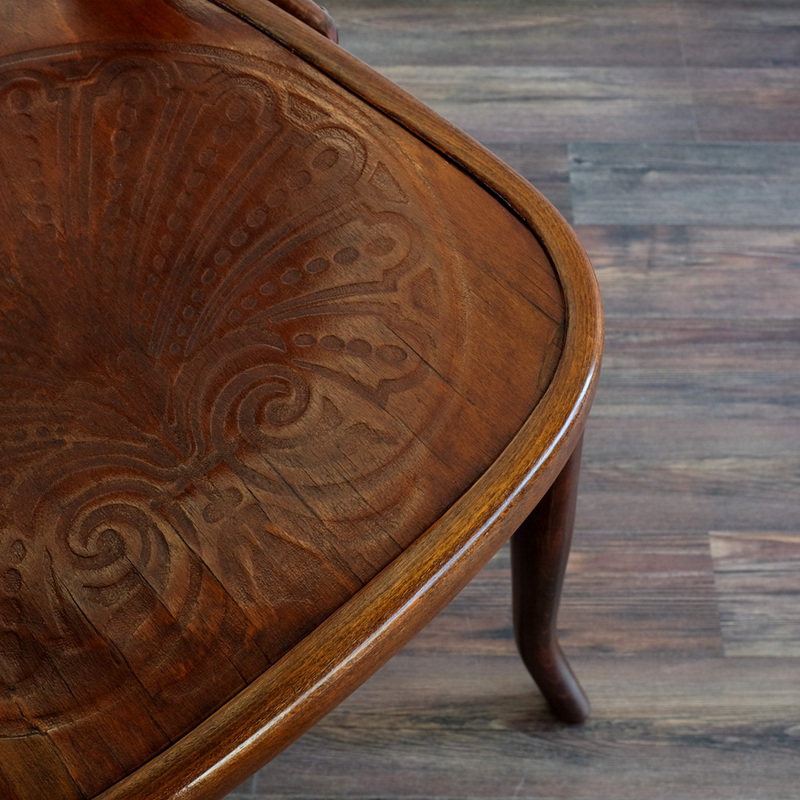 The seat and the backrest is imprinted with a beautiful pattern.